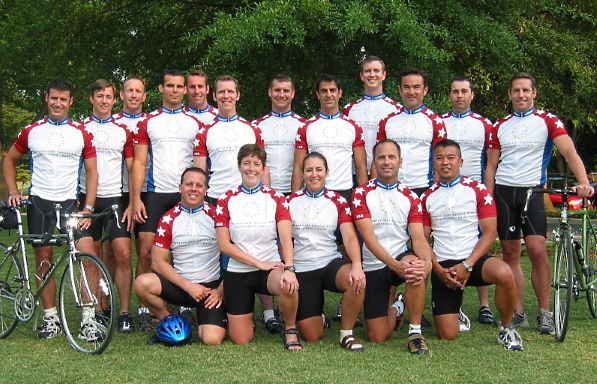 Action Cycling Atlanta, Inc. (ACA) was formed in 2003 by a group of cyclists who participated in the 2002 European AIDS Vaccine Ride, one of the last AIDSRides produced by Pallotta Teamworks. The group was dismayed at cost overruns of the European ride. Additionally, the dissolution of Pallotta Teamworks created a funding vacuum for its beneficiaries. ACA was incorporated as a 501c3 charitable organization and continued fundraising for global AIDS vaccine research at the Emory Vaccine Center, located in Atlanta, GA. In recent years, the ride has included Atlanta-area AIDS service organizations as beneficiaries. The ride originally traveled from the Hope Clinic in Decatur, GA to Athens, GA. In 2007, in order to accommodate more riders, ride organizers changed the route to begin and end on the Emory University campus with a Saturday night stay at Rock Eagle 4-H Center near Eatonton, GA. The AIDS Vaccine 200 existed as the Action Cycling 200 for its first 6 years. In 2009, the name of the ride was changed to communicate more clearly the purpose of the ride. Since 2018, ACA has produced Field Day, a charity event for really big kids. Field Day is the adult equivalent of the most anticipated day of athletic shenanigans from our childhoods. Three legged races, egg tosses, tug-o-war and more highlight this fun competition between local teams. Proceeds from Field Day benefit HERO Atlanta and ACA.